This article is by Aleksandra Chapovska, a Macedonian director, was invited by the Twinning Committee of UMCV-Macedonia to take part in the festival at Ventabren known as « Courts dans le Vent » (shorts in the wind), 2014. This is the Regional Competition of the Mediterranean Union of Film and Video (UMCV), a member of the French Federation of Film and Video (FFCV). First of all, I would like to thank the people who organised this festival, and who invited me to be a part of the 39th Festival for non-professional Film in Ventabren. Days of the festival were filled with a lot of films from different categories, and a lot of time spend with all of the people who participated. Festivals like this one are a great opportunity for filmmakers of this kind of films to watch movies from their colleagues, to discuss their work, to make friendships, and to see each other in life (not only to communicate on internet, mail, Facebook, etc). The festival was a wonderful opportunity for authors from other countries (like myself) to be introduced to a different kind of festival. The festival also was the venue where I presented my work in non-professional filmmaking, and also where I got to know the work of other people from other countries. The jury of the festival was working in a very good way, with the discussion and the evaluation after a couple of films, which I think was a benefit to the authors. The jury worked really hard to make a good choice. I would like to thank once again the UMCV, and all the people from the organisation who made this presentation of Macedonian films possible, and who made such a good film festival as this one. I would also like to thank the Cinema Association of Macedonia who made efforts in bringing the French and Macedonian filmmakers much closer. We hope that we will continue this great co-operation in future, with even more events and films. To all the authors who participated on the 39-th Festival for non-professional in Ventabren, I wish them all the best in their filmmaking and many good festivals and films in the future. 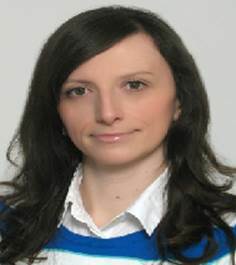 Aleksandra Chapovska, born in 1982 in Skopje, Macedonia, was a psychology graduate at Cyril and Methodius University in 2006. She speaks English and Greek. She began making non-commercial short films in 1995, the year of her debut with the Academic Cinema Club in Skopje. She has directed or co-directed about ten films, documentaries, experimental films and dramas. His first movie My Street won the second prize at the International Festival of Documentary Films "Camera 300" in Bitola, Macedonia. She has participated in several national festivals and some festivals abroad. His greatest success was the Price of Gold Ring, twice, at the Zisel festival in Serbia in 1997 and 2003. She has received awards as a director in Macedonian festivals. She attended courses organised by the Film Association of Macedonia. Today she is an active member of the Academic Club. She has participated in international festivals such as the Croatian Minute Movie festival and UNICA in Tunisia and Austria. She helped in the organisation of the OSFAF festival in Skopje. ​- the world organisation for non-commercial film makers. Click the logo to visit the official UNICA website. Cliquez sur le logo pour visiter le site officiel UNICA. Klicken Sie auf das Logo, um die offizielle UNICA Website zu besuchen.